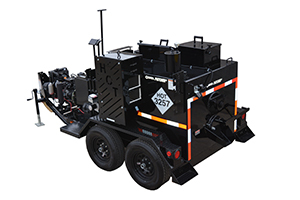 The Crafco Patcher is an oil-jacketed melter specifically designed to melt mastic sealants. The Patcher features digital controls to assure that mastic temperatures are held within specifications at all times. The Patcher has angled and staggered agitation blades which provide superior material agitation and aggregate suspension for a consistent material blend. A 6:1 gear box delivers high torque to eliminate agitation stall when using high-density material. The Patcher is equipped with many safety features, including an automatic shut-off on the lid to prevent injuries during operation. With an array of options – like the heated swivel chute – placing mastic is fast and easy. Don’t Forget your Patcher II Accessories for Easy, Fast Application of Hot-Applied Mastics! Crafco Drag Boxes for the Patcher II allow fast and easy application of Mastic One and PolyPatch, for various types of longitudinal repairs. 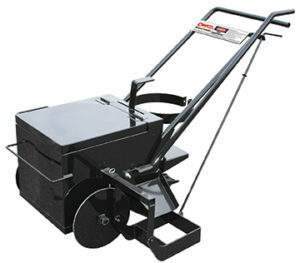 It’s ideal for repairs that utilize the Patcher II; simply attach and drive down the road along the repair. 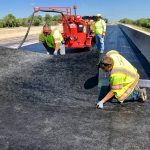 It’s available in various sizes ranging from 10” to 48” wide to cover distresses such as cold joints, shoulder repairs, and alligator cracks. 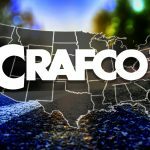 The Crafco Drag Box provides a consistent and smooth application of hot-applied mastics quickly and easily, making longitudinal repairs fast and efficient! 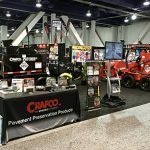 The Crafco Hot Mastic Applicator is designed to be used with the Crafco Patcher for the transfer and placement of PolyPatch mastic and mastic material. 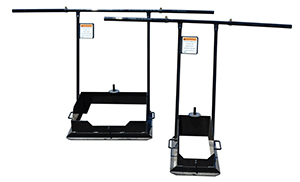 Feature include a reversible handle for ease of use and safety, Long agitation bar, Removable shoe, an improved discharge gate, heat chute, material agitation, wheel stability and heat efficiency.